Welcome back! We're rare, ready, and rarin' to go! Last weekend I acquired several discs of documentaries produced for radio by Sony Music to promote various archival releases, and I'll be posting them here. As the title says, these are hour-long documentaries, and are specifically the 59:00 versions produced for non-commerical radio, as opposed to other versions for commercial stations, which must have been edited further to leave room for ads. Starting off, the item I was most excited to get ahold of is this 4-disc collection released to radio in 2007 to promote the compilation simply titled Dylan . 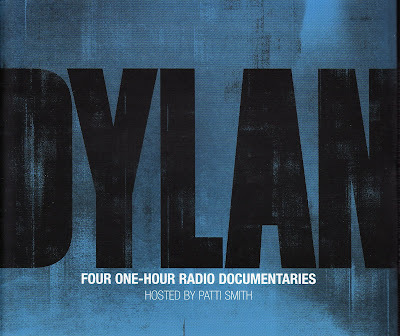 The programs are hosted by the great Patti Smith, and feature interviews with the likes of Dylan cohorts Bob Neuwirth, Suze Rotolo, Dave Van Ronk, Roger McGuinn, and others; critics and historians such as Greil Marcus, Bill Flanagan, and Anthony DeCurtis; and musicians including John Hiatt, singer-songwriter Josh Ritter, and Rage Against The Machine guitarist Tom Morello. These four shows bear some resemblance to podcasts that were made available on iTunes around the time of that release, but those installments were shorter than the documentaries here. Each show covers a different period of Bob's career, as suggested by their individual titles: Blowin' in the Wind, Like a Rolling Stone, Shelter from the Storm, and Oh Mercy. In this first post, I'm sharing the first two of those parts. Each disc contains one 59-minute special, broken into three segments which are divided by minute-long music breaks, as well as an episode-specific 30-second promo and another promo for the series as a whole. This latter spot is identical through all four discs, so I've only included it as part of the first disc's download. These are my first RAR files I've posted here, as opposed to ZIPs, and I hope everyone knows what to do with 'em! If not, you'll need to web search for a program called RAR Expander. I hope y'all enjoy these, and stay tuned for the next post featuring the other two parts. Following that, we'll offer similar documentaries on Dennis Wilson, Bruce Springsteen, Willie Nelson, and more! Links in comments; if you take one, why not leave one? Thanks Jeffen, good call -- I have been following Expecting Rain since... wow... 1994! I L-U-V These type of things - To which I previously had no way of hearing!! Cool, thank u. R the other two episodes on the way please? Thanks, this will be a good listen over labor day. The BBC did something similar with the Beatles in the 90's-still have never found that. Part One link appears to be in working order -- try again! 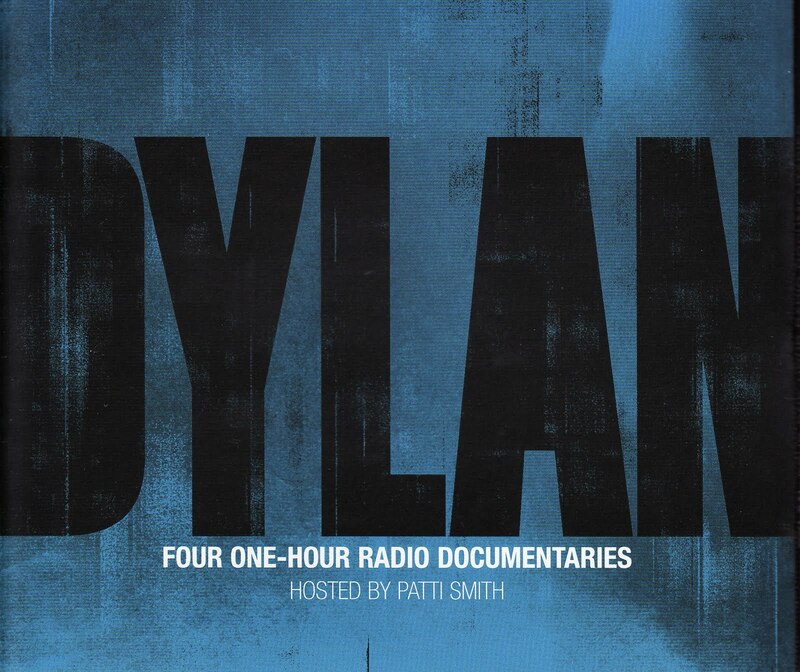 Although I'm not a massive Dylan fan this looks certainly interesting, thanks! late to the party, but thanks a lot. These look great... I like audio docs while I am driving. Is there any chance of a re-upload? I just came across your blog (2016, a little bit late), so please, consider this an urgent petiton. My mail: dragul7@gmail.com. Thanks in advance. Terence Trent D'Arby bootlegs, anyone?